The Board of the Global Fund to Fight AIDS, TB and Malaria held its semi-annual meeting in Geneva, Switzerland on the 14-15th November 2018. The Developing Country NGO Delegation participated actively, raising concerns around the Global Fund’s transition from countries, pressing for greater transparency to enable civil society to play its watchdog role in every country, co-hosting a special session on human rights and calling for an ambitious and successful sixth replenishment of the Fund, in order to enable the global response to “get back on track” to ending the three diseases. The reports from United Nations partners highlight that at the current rate of progress, we will not end the three diseases by 2030. As Sustainability, Transitioning and Co-financing (STC) is one of our Delegations’ priorities, our delegation raised repeated concerns about the risk of failed transitions, including lack of access to affordable, quality medicines and the risk of resurgence. The Board approved an STC Policy which has been implemented for two years. We supported calls from other delegations for more robust monitoring of the transition process, in particular calling for Transition Readiness Assessments and transition work plans to be made public in every country. We also called for data to be gathered and shared with the Board on government expenditures for the three diseases, including how many civil society organisations are funded to implement programmes, and strategic information on the legal environment. This should include whether there are legal barriers, such as the criminalisation of key populations; whether there are changes needed to procurement laws, and whether there are laws in place that enable social contracting. 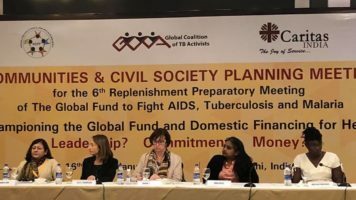 We raised vocal concerns about the challenges in procurement of TB medicines in countries that have already transitioned, or that are preparing to transition from the Global Fund procurement to national systems without proper safeguards. Based on intense discussion of these and other concerns, the Board agreed to discuss transition further as part of several upcoming meetings in 2019. We will be working with the Strategy Committee, the Audit and Finance Committee and the Secretariat to ensure this is done and to find practical and sustainable solutions wherever possible. In discussing future revisions to the Fund’s Allocation Methodology, our delegation highlighted again the Board commitment in the Eligibility Policy decision [GF/B39/02], to have additional discussion around options to fund key population groups and civil society in high-burden upper middle income countries that are not eligible for a Global Fund allocation. Within the Allocation Methodology, we urged that the following be prioritised within catalytic investments: strengthening community implementers to find missing TB cases; and supporting multi-country grants that address human rights (for HIV and TB) and needs of key and vulnerable populations in each geographic region. We also recommended that the investment in the Community, Rights and Gender Technical Assistance Strategic Initiative be maintained and strengthened. Given that the United Nations High Commissioner for Refugees reports that over 65 million people are now in displacement, we called for a review of the Fund’s Challenging Operating Environments policy to understand better how the Emergency Fund has performed in practice and to discuss whether it should be expanded in the next allocation. The delegation co-hosted a dynamic and well-attended pre-meeting session on human rights, highlighting the important work the Fund has enabled within HIV and TB grants to remove human rights barriers to access in Africa, Eastern Europe and Central Asia, and Latin America. We also appreciated the Office of the Inspector-General (OIG)’s actions to promote the Fund’s human rights minimum standards and complaints procedure. We agreed to work with the OIG to brainstorm collectively what else we might try in the future to improve awareness and uptake of the procedure. We called for the Secretariat to take steps to publish information about sub-recipients implementing all grants, to enable civil society to monitor their work. Key decisions taken at the 40th Board Meetingincluded the approval of the 2019 Work Plan and the budget for operating expenses (OPEX) in 2019, as well as an endorsement of a framework for engaging with the private sector. The Developing Country NGO Delegation welcomed the endorsement of the Private Sector Engagement Framework, recognising the Global Fund is an innovative public-private partnership, and the important role of the private sector in the resource mobilisation strategy. The proposed Framework includes due diligence processes in key areas such as human rights and gender, risks that private sector partners’ activities could affect health outcomes, and consideration of partners’ approaches, all of which our delegation welcomed. Our delegation had requested in our 39thBoard Meeting statement that the framework be updated and brought to this Board Meeting, and appreciated the efforts by the Secretariat and the Ethics and Governance Committee to do so. Our delegation supported the approval of the 2019 Work Plan and the 2019 Operating Expenses Budget in the amount of US$ 302 million, which remains within the total amount of US$ 900 million available for operating expenses over the 2017-2019 period. We called for concrete steps and plans to further reduce the OPEX budget, and urged the Secretariat to focus on cost-effectiveness in all its operations. The Sixth Replenishment is a priority for the Fund. The Board reviewed essential elements in making the case for greater investment in health, as well as mobilisation campaign plans, as will be discussed at greater detail at a Preparatory Replenishment meeting. The Developing Country NGO Delegation offered support to the Secretariat in outreach, including to Francophone civil society advocates, and requested a clear plan with a roadmap and clear objectives on how the Global Fund will engage with civil society and leverage the role of Board delegates in resource mobilization efforts. France will host the Sixth Replenishment Conference in October 2019, and India will host the preparatory meeting in February. 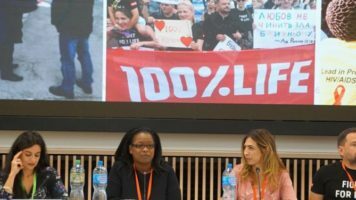 Find the Statement on the 40th Board Meeting from the Global Fund here.